Harding Town Hall Debate - Activate! 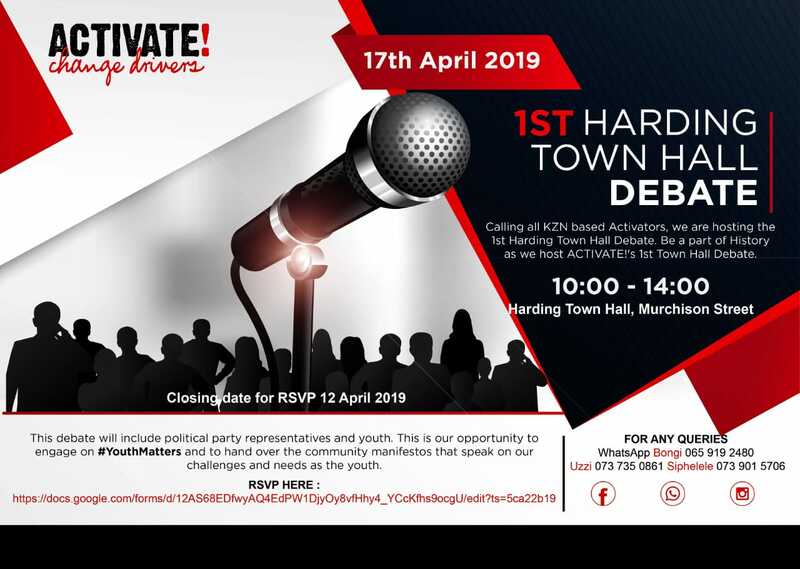 RSVP ON THE LINK PROVIDED BELOW BY THE 12 APRIL 2019. SEATS ARE LIMITED.